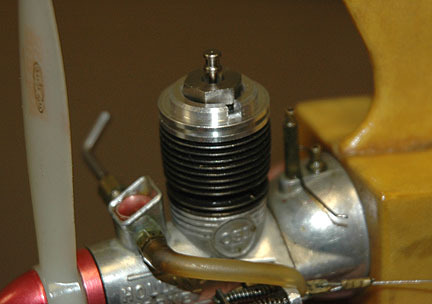 The crank, case, piston, sleeve and rod are Buggy parts. 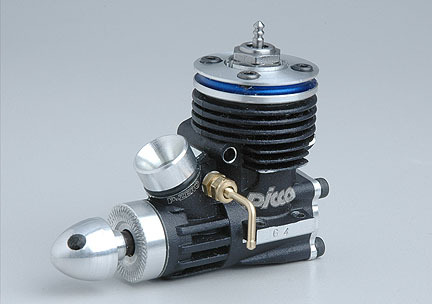 I make the spinner, prop driver, venturi, needle valve & head. The clamp ring is a modified Buggy part. The crank is modified with an 8mm sleeve and bearing, destroked, and the rod bushing is replaced with a smaller diameter bushing. Uses Cox wrench. Comes with one 0.004 shim for hot weather. Temporarily out of stock – call before ordering. Low stock – call before ordering. HD, for all Nelson glow engines, any engine with Nelson head $5.00 ea. Carrier Plug, like the HD, only hotter. Good in converted OS-III's. $5.00 ea.